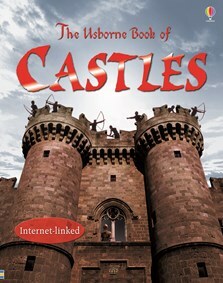 Click and drag to view all the scene, or click on one of the pictures top right to see a different part of the castle. Click on the link for "Motte and Bailey" to find out about the first castles, or scroll to the bottom of the page for a timeline. Discover who lived in castles, what they ate, where they slept and what they did for fun in this fascinating introduction to medieval life, with lots of examples of castles from around the world. Full of photographs, timelines and maps, with Usborne Quicklinks to selected websites to find out more, and contents and index pages for easy reference.